Renowned new music pianist Sarah Cahill will perform a concert of music by women composers on Monday, March 25 at 8 p.m. in Bryan Recital Hall at the Moore Musical Arts Center as part of the Music at the Forefront concert series sponsored by the MidAmerican Center for Contemporary Music. The concert is free and open to the public. 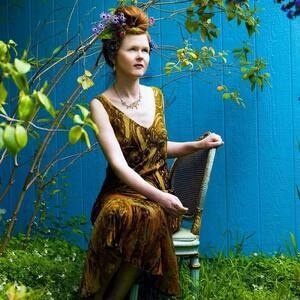 Sarah Cahill, recently described as “a sterling pianist and an intrepid illuminator of the classical avant-garde” by The New York Times, brings her ongoing project The Future is Female to Bowling Green State University. Cahill’s project features music by women from around the globe, ranging from the 18th century to the present. Cahill describes The Future is Female as “a ritual installation and communal feminist immersive listening experience.” Her programs include music by a wide array of diverse women composers including Teresa Carreño (Venezuela), Frangiz Ali-Zadeh (Azerbaijan), Žibuoklé Martinaityté (Lithuania), Nina Makarova (Russia), Chen Yi (China), Vítězslava Kaprálová (Czechoslovakia), and Florence Price (United States), among many others. Cahill will also be giving the premiere performances of Theresa Wong’s She Dances Naked Under Palm Trees, inspired by the song Images by Nina Simone, during these concerts. The San Diego Tribune describes Cahill as “a vessel through which musical ideas can pass, a communicator whose technique is put at the service of empat y and understanding.” She was named a Champion of New Music by the American Composers Forum for 2018.